A group of women and children passed through to the US side of the border with Mexico on Wednesday, part of the caravan of Central Americans seeking asylum in the United States. The caravan captured the world's attention as scores of migrants travelled through Mexico on a journey to escape their violent homelands. 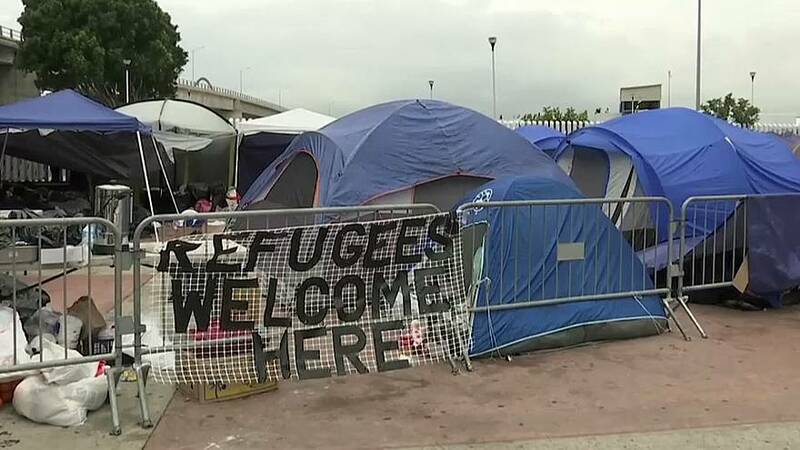 US Customs and Border Protection had accepted 28 caravan members for processing at San Diego's San Ysidro crossing by late Tuesday, leaving about 100 to wait at the Mexican entrance under tarps tied to waist-high metal gates to shield them from sporadic rain. Meanwhile, the Central American asylum seekers continued camping in a large plaza for a fourth straight day waiting for U.S. inspectors to process their claims.